The co-chairs of the Minsk Group of the Organization for Security and Cooperation in Europe (OSCE)] are not responsible for saying who attacked first in military operations, Alexander Iskandaryan, the director of the Yerevan based Caucasus Institute, told media Monday. “The task of the OSCE Minsk Group co-chairs is to stop the bloodshed, resume negotiations, which is also part of the security,” said Iskandaryan. On April 9, Igor Popov, the Russian co-chair of the OSCE Minsk Group, told media that it was not included in their mandate to investigate who had initiated the hostilities and who is responsible for it. He said that the Minsk Group has received a mandate for the meetings with the military-political leadership of the two countries and a visit to Nagorno Karabakh. “Our main purpose was to help the parties to stabilize the situation, as well as to initiate steps to ensure that military operations are not repeated,” he concluded. 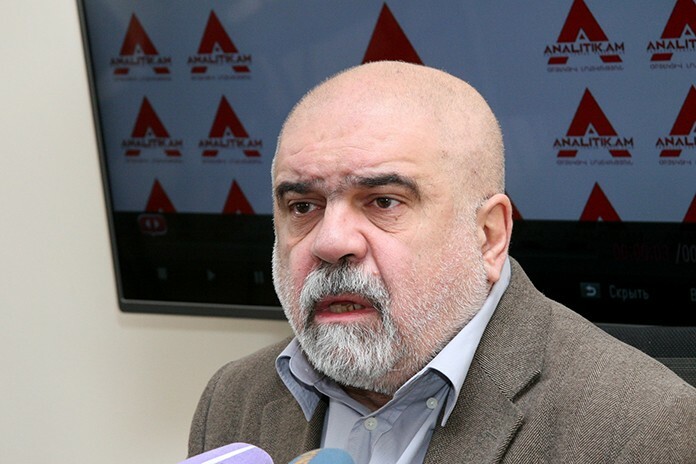 Republican MP Artak Davtyan also agreed that co-chairs’ current task is to return the parties to the negotiation table. “However, we cannot expect any crucial changes, a miracle document, or proposals concerning the Karabakh conflict settlement from the OSCE Minsk Group co-chairs,” he added. Recently Armenian President Serzh Sargsyan made a tough speech during a meeting with the ambassadors of the OSCE member countries reminding the international community that statements expressing concerns over the situation will have no effect until they are directed to the party who provoked military actions, and that such concerns must imply consequences for their neglect.